The Conflict and Development Foundation (CDF) and the Center on Conflict and Development at Texas A&M University (ConDev) are harnessing the creative power of students to identify solutions and create innovative technologies to solve some of the problems that our implementing partners are facing in the field in some of our projects. From a Pigeon Pea Desheller, to a Vegetable Spinner to wash fresh produce, to an improved Rose Cart to be used in flower greenhouses, these ideas from students are helping us make a difference in solving development challenges in the field. Engineering Projects: Students from the Engineering Projects in Community Service course at Texas A&M University designed new technologies to improve the washing system of leafy vegetables in packing centers in Guatemala. Students came up with Auto Cad designs for a vegetable spinner that could be inserted in the first compartment of commercial sinks in vegetable washing stations to remove dirt from the field. Engineering Design: Hebron High School students from their Engineering Design and Presentation course worked on several designs to improve a cart to collect cut roses in greenhouses being operated by Mayan women in the rural sector of the Central Guatemalan highlands. The new rose cart designs developed by students will help female farmers in Guatemala. Team "Veggie Roll" and their CDF Mentor showing the seed spacing device they designed for kids. The "Peas Maker" Team presenting their winning design for a pigeon pea desheller. 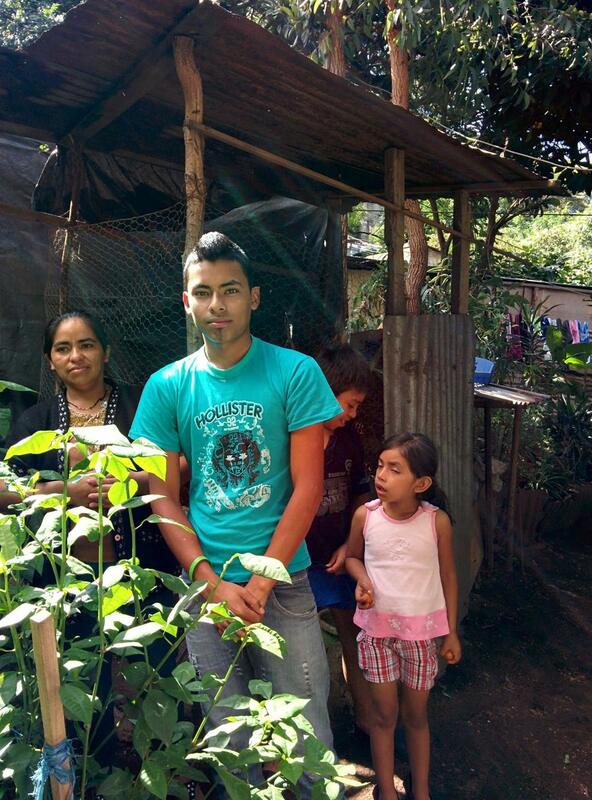 Nutrition from the Garden: Students from Texas A&M University’s School of Public Health helped us promote gardening and nutrition programs to help youth from San Felipe de Jesús Middle School in a rural impoverished sector of Guatemala. Some students donate their nutrient-dense crops to the local hospital. Aggies Invent - Education (Feb 2017) - Motivating Texas A&M University students to help design educational games for our garden education and nutrition program in Guatemala.